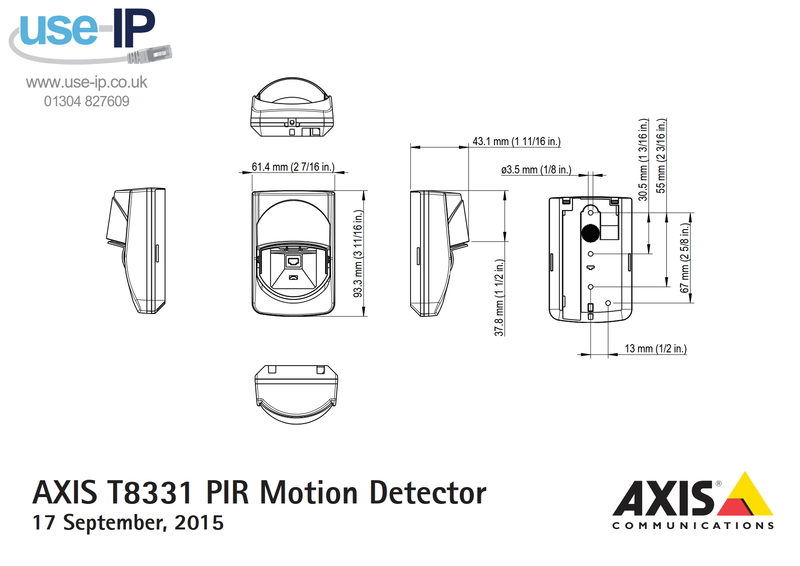 The Axis T8331 is an indoor PIR motion detector which allows your camera set-up to react to motion within its visible range, this is an advantage to smaller systems as you can set your system only record when motion is detected which saves on storage space and bandwidth, as well as extending the period of time you can keep stored on your NVR or NAS. The passive infrared technology used in this motion detector makes it much more accurate with less false alarms than any older models. The T8331 is simple and quick to set-up with its single cable design and the included tripod mount makes it easy to mount to any standard wall bracket.